Are Maryland Drunk Driving Laws The Same For Cars and Boats? With the summer boating season in full swing, the Maryland natural resource police is charged with the daunting task of keeping the state’s waterways safe. Enforcing Maryland’s DUI laws out on the water is one way that the natural resource police can accomplish this objective. The Maryland state police, and local police departments across the state devote a great deal of effort to maintain or increase the amount of drunk driving arrests each year. This is in part to send a message to the public that drunk driving will not be tolerated out on Maryland’s roads. Each summer, the natural resource police attempts to send the same message that driving a boat while under the influence of alcohol or drugs will not be tolerated on Maryland’s waters. If you decide to venture out on the 17,000 miles of river or the 1,700 square miles of Chesapeake Bay, chances are that you will encounter a Maryland natural resource police officer. In order to prepare for one of these encounters, it is important for boaters to understand how Maryland’s drunk driving laws apply to boaters. Maryland law does not differentiate between boating and driving with respect to drunk driving laws. The Maryland DUI law, which falls under the transportation statute, prohibits driving any vehicle while either under the influence of drugs or alcohol, or while intoxicated. The words any vehicle are understood to include vessels such as motorboats, sailboats, and jet skis. Therefore, Maryland DUI laws are exactly the same regardless of whether you are driving a car on 695 or cruising on a jet ski down the bay in Ocean City. Maryland natural resource police officers are trained in DUI detection in the same manner as state troopers and local police officers. Natural resource police are also equipped with intoxilyzer machines to administer breath alcohol tests to boaters who they think may be under the influence of alcohol or drugs. Police officers that patrol Maryland’s waters may also have an advantage over road patrol officers in making DUI arrests. Boaters out on Maryland’s waters may feel a sense of relaxing isolation and serenity but keep in mind that natural resource police officers are never too far away, especially in popular areas such as the Chesapeake Bay or Ocean City. A boater may not sense the harm in cracking open a few beers while cruising down the bay, but a natural resource officer will certainly disagree. The main advantage that a police officer out on the water has over a road patrol police officer is that it is much easier to make contact with other boaters while on the water. For a road patrol officer to initiate contact with another driver, the officer must have reasonable suspicion that the driver is committing a crime in order to conduct a lawful traffic stop, but a boating police officer will mind it much easier to initiate a consensual encounter on Maryland’s waters. Natural resource police officers do not have the same constraints as a road patrol police officer, as a boating officer can simply pull up next to a civilian’s boat and initiate a citizen contact. Boating officers do not necessarily need to have probable cause to board a civilians boat in order to begin a DUI investigation. An officer can simply engage a boater in conversation about whether they have the appropriate safety systems onboard, while at the same time they may be gathering DUI evidence such as the speech and behavior of the boater. Most boats are also open, and there is no constitutional constraint on a police officer’s ability to pull up next to a civilian’s boat to look for drugs or alcohol in plain view. It is important for all boaters to be aware that Maryland DUI laws apply to boaters and drivers alike, and all boaters should be prepared for encounters with the natural resource police at some point in the summer boating season. 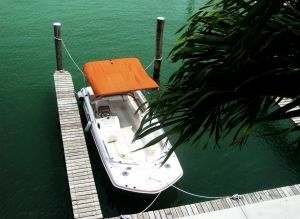 A future post on boating DUI in Maryland will discuss the relationship between alcohol and boating accidents compared to alcohol and car accidents. 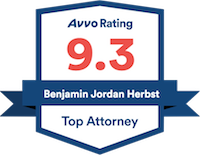 Benjamin Herbst is a Maryland boating DUI lawyer that handles all types of drunk driving cases in Maryland. If you have been arrested for DUI in Baltimore or anywhere in Maryland, contact The Herbst Firm for a free consultation.